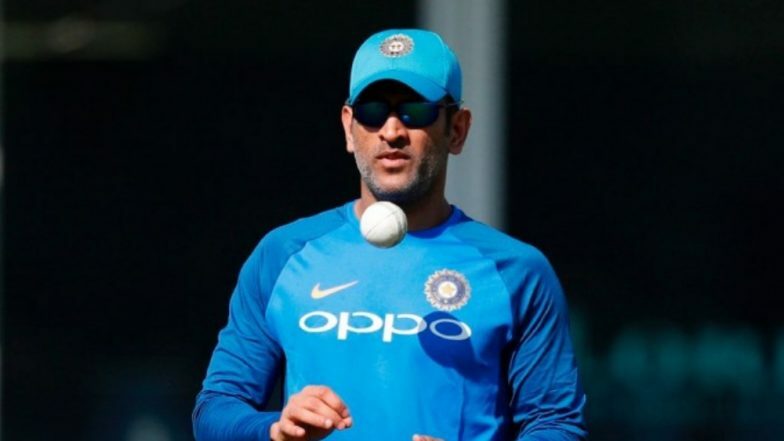 Ranchi, March 9: Indian batting coach Sanjay Bangar on Thursday said that former skipper MS Dhoni will be not playing in the last two ODIs of the five-match series against Australia. "MS Dhoni will not be playing the last two ODIs of the ongoing five-match series against Australia. He is going to take rest after this," Bangar said at a press conference after India lost the third ODI on Friday. In the third match, Aaron Finch and Usman Khawaja helped fire Australia in the must-win third one-day international (ODI) of the five-match series against India, setting 313 runs for five at the JSCA International Stadium Complex in Ranchi. Australia got off to a strong start after being asked to bat. Ind vs Aus 2019: MS Dhoni Joins the Elite List of Indian Batsmen After His Match-Winning Knock at 1st ODI. Finch and Khawaja hammered the hosts with their regular boundaries, stitching together a 193-run partnership for the first wicket before India got their much-needed breakthrough as Kuldeep Yadav trapped Australia captain, who missed out on his 12th ODI ton. India could only manage only 281 in 48.2 overs, the credit for which goes skipper Virat Kohli who scored 123 off 95 balls.Chasing a target of 314 at the JSCA stadium here, Virat scored his 41st One Day International (ODI) century, 25th when batting second, and only his fourth in an unsuccessful chase. MS Dhoni Trolled on Twitter After India Goes Down Fighting in the 1st T20I Against Australia at Vizag. Kohli scored 123 on a pitch that had become slow and started to take a turn about 30 overs into the game, as he single-handedly gave India a chance in the chase.Second to bat, the home team saw wickets fall in quick succession, with the scoreboard displaying 27 for the loss of three wickets. Kohli and former skipper Mahendra Singh Dhoni took India to 86 from a mere 27, only till Zampa bowled out Dhoni. After suffering another major loss, Kohli was accompanied by Kedar Jadhav, who steered India to 174. Once again, it was Zampa who intervened to put the Indian side under pressure. The combination of Adam Zampa, Pat Cummins, and Jhye Richardson proved detrimental for the Indian side, who were ultimately bowled out for 281 runs.The two teams will next lock horns on Sunday in Chandigarh.